Wetting agents are becoming very important and are being used for numerous reasons: pesticide movement, reducing dew, improving seed germination, reducing soil compaction, relieving localized dry spots, managing water and improving drainage. To understand how wetting agents work it is necessary to understand the forces that effect the movement of water. There are three major forces that effect the movement of water in soil. The first is gravity, which pulls the water down into the soil. Second, is cohesion, the attraction water molecules have to each other. Thirdly, is adhesion, this is the attraction of water molecules to other substances. Basically, there is nothing science can do to affect the forces of gravity because it is a universal constant. However, the remaining two can be modified, through chemistry. A water molecule is dipolar containing both a negative and a positive charge (Figure 1). The positive and negative forces attract each other like that of a magnet. Molecules on the exterior are much stronger that those of the interior water molecules. This cohesion of the molecules for each other are the forces that hold a droplet of water together, which causes the droplet to act as if it has a thin film covering the surface, which keeps the water molecule apart from other substances, thus causing “surface tension”. This surface tension is what prevents materials from going into solution and from getting wet. Soil repellency is the result of an organic (nonpolar) (Figure 2) coating that adheres to the individual soil or sand particle, this condition is most commonly referred to as (hydrophobic). In hydrophobic soils the soil particles are covered with substances that repel water. Some hydrophobic soils were found to be coated with a complex organic, acidic material that appeared to mycelium (growth structure) of a fungus. Hydrophobic soils can cause problems on golf courses and other turf areas, in nurseries and greenhouses, and in open fields. Golf course managers commonly report problems with localized dry spots on their greens. North Carolina nursery operators sometimes encounter hard-to-wet media in pots and greenhouse beds. And North Carolina farmers who work the organic soils of the tidewater region or the “salt-and-pepper” soils found in Bladen and Pender counties complain that the soils wet too slowly, reducing crop productivity. Problems with hydrophobic soils are also commonly associated with citrus production areas, with location where mine spoils have been deposited, and with burned-over forestland and grassland. If water cannot readily penetrate and wet the soil, the availability of moisture to plants is reduced, decreasing the germination rate of seeds, the emergence of seedlings, and the survival and productivity of crop plants. Lack of sufficient water in the soil also reduces the availability of essential nutrients to plants, further limiting growth and productivity. In addition, water that cannot penetrate the soil runs off the surface and increases soil erosion. Water repellency often occurs in localized areas. As a result, the soil wets non-uniformly, and dry spots occur. SoilLife helps the water molecules to spread out, which reduces the surface tension allowing the water to penetrate the soil surface and thus increase the infiltration rate. In most cases, low water infiltration rates are caused by factors other than water repellency. For example, water naturally moves more slowly into fine-textured (clayey) soils because the soil pores (spaces between the soil particles) are simply too small to allow rapid water movement. Cultural practices that promote good tilth and particle aggregation can improve the infiltration rate on these soils. Conversely, practices that degrade tilth and aggregation (such as working the soil when it is too wet), worsen the problem. Tillage pans and compaction by farm machinery also reduce infiltration. In these situations, wetting agents will have little or no effect. Extensive research has been conducted on hydrophobic soils and on the effectiveness of wetting agents. Some of these studies have focused on localized dry spots in turf grown on naturally sandy soils and on formulated materials high in sand content. These dry spots become a serious turf management problem during the summer months, especially during periods of drought. Despite frequent irrigation, the soil in these spots resists wetting, resulting in patches of dead or severely wilted turf. The water applied wets the turf but does not adequately penetrate the soil surface to reach the root zone. In a Ohio study of dry spots in turfgrass, it was found that the hydrophobic condition was restricted the top 1 inch of soil. The infiltration rate in the dry spots was only 20 percent of that measured in normal areas. In other investigations, the hydrophobic layer was from 5 to 8 inches thick. Applying wetting agents reduced the severity of the condition with coring – making small holes in the soil surface to allow water to pass through the hydrophobic surface layer. Also, keeping the soil moist seemed to be the best defense against the development of dry spots. Allowing the soil to dry out intensified the problem. Many California soil scientists and specialists in management of turfgrass, range land, and forestland have tested the effects of wetting agents on the rate of water infiltration into disturbed and undisturbed soils. In general, the results have shown that the extend of improvement in infiltration rated is affected by the type of wetting agent used, its dilution, previous use of wetting agents on the soil, and the water content of the soil at the time water is applied. Several studies have shown that infiltration rate of a hydrophobic soil, once it has been wetted, remains higher than it was before it was wetted, even if it is allowed to dry out again. As one of the ingredients of SoilLife, Yucca, has been proven to provide anti-stress capacity which allows the grass to better withstand adverse weather conditions and to grow healthy and vigorously. Yucca has been shown to increase the permeability of vegetal cellular wall, thereby allowing faster germination of the seeds, quicker and faster development of the root system. Yucca, a natural surfactant helps overcome surface tension. As with most surfactants, Yucca has a (hydrophilic head) water-attracting polar head and a (hydrophobic tail) water rejecting tail. These two components of a surfactant molecule help break down water surface tension. 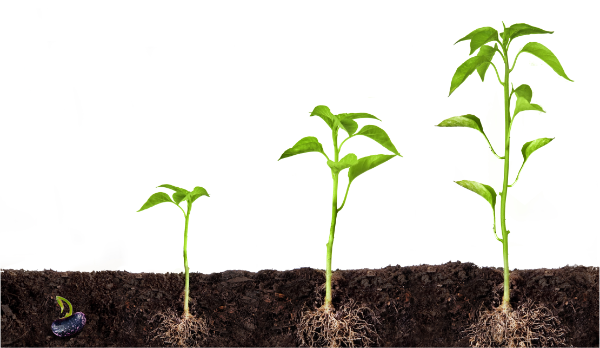 What also makes SoilLife unique to the industry is the proprietary blend of humic and fulvic acids and natural sugars. It has been shown that these elements when introduced to the soils produce a positive effect. The impact on soil that SoilLife makes promotes the growth of naturally occurring enzymes that are indigenous to the region. This reaction has proven to be beneficial to plant growth, by allowing more nutrients and water to penetrate the soils and make their way to the plant’s root system. Sources: Karnok, Keith J., Ph.D; Xia, Kang, Ph.D.; and Tucker, Kevin A. June 2004. Wetting Agents: What are they, and how do they work. GCM. Sunderman, H. D. 1983. Soil Wetting Agents, North Central Regional Extension Publication 190. Colby, Kan.: Kansas State University, 4 pp. Humate, a farmer’s best friend? What is humic acid and why it important to today’s farmers?